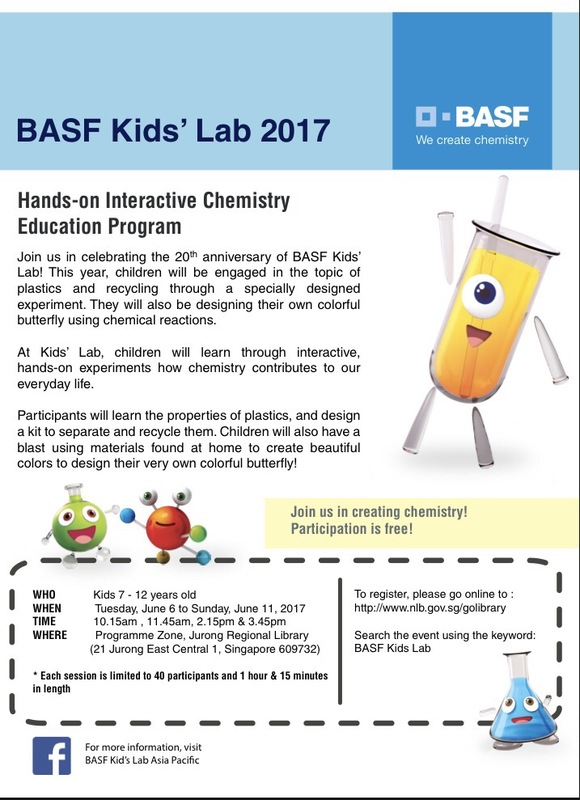 BASF Kid’s Lab 2017 is back! 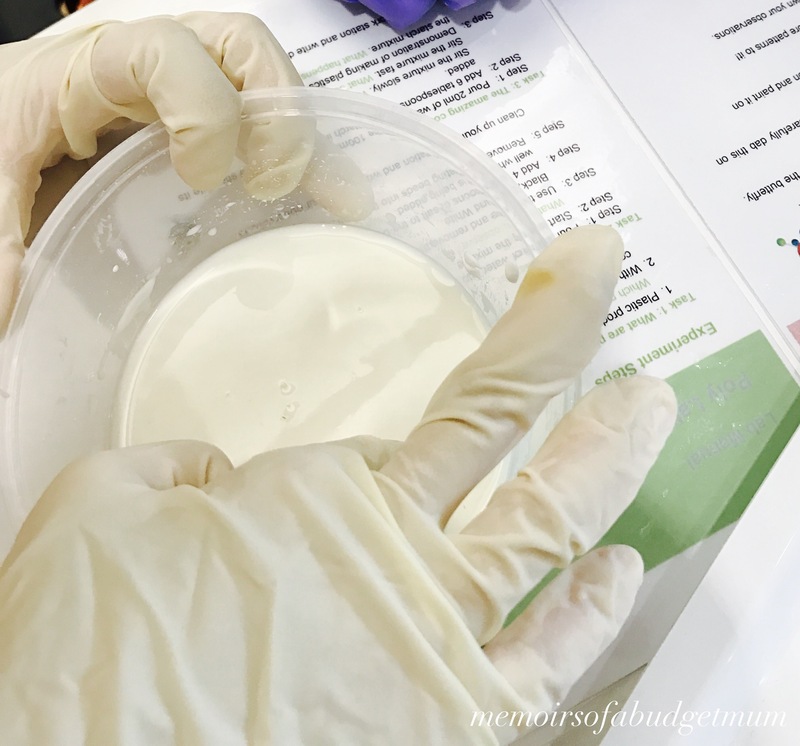 -Explore the Wonders of Chemistry with hands-on experiments! 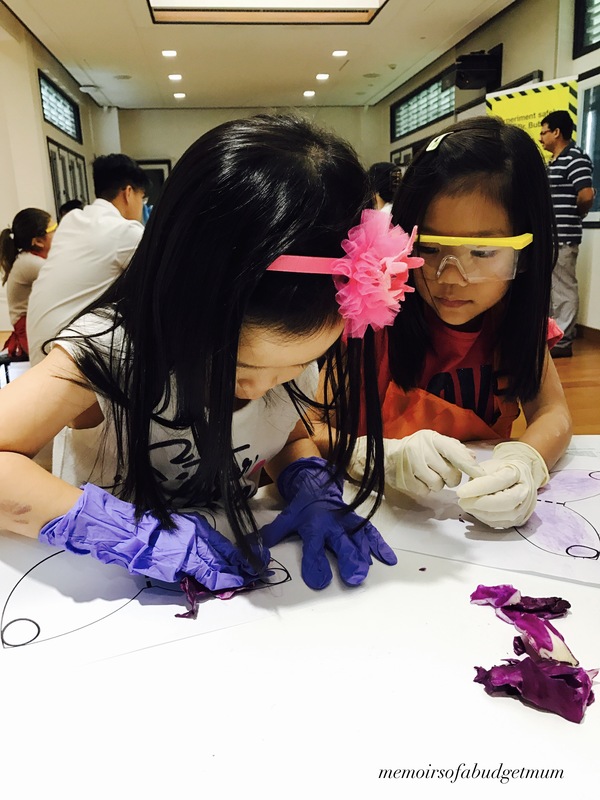 Over the years, the BASF Kids’ Lab program has been reaching out to children all over the world and this year is no exception- this will be their 20th year in fact! 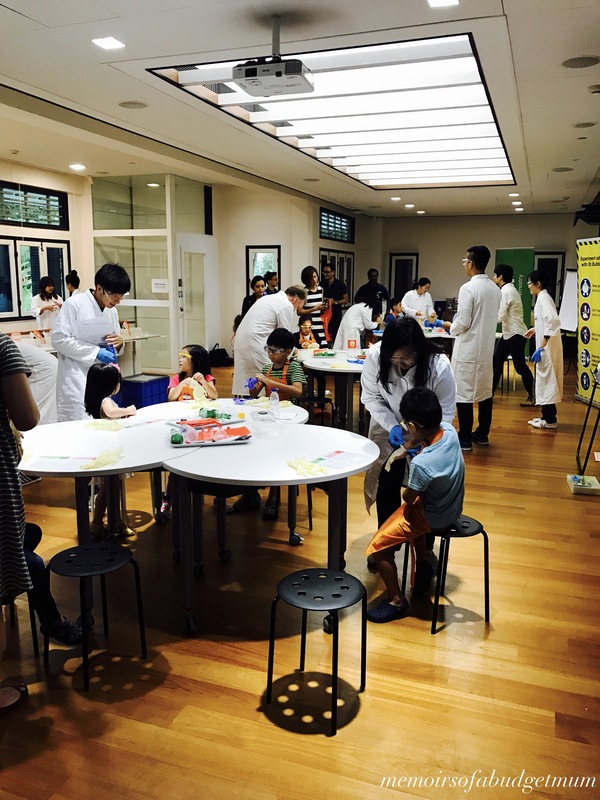 Our family has always looked forward to Kids Lab sessions! Little scientists ready to rock and roll! It checks all our boxes for good family fun: free activity (check), educational (check), fun (check) and hands-on and engaging (check)! I mean how often do the kids get a chance to get all decked out in lab gear and goggles, and mess around like it’s their job to!! Our session was conducted at BASF’s new and very swanky learning campus near One North. 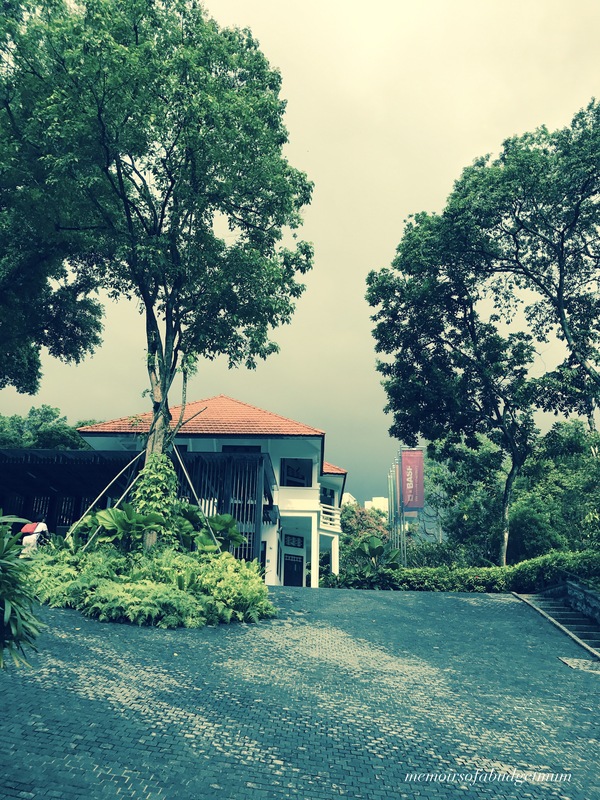 The learning campus, formerly a series of old colonial houses, is now a quaint precinct oozing with old-new world charm and flanked by lush greenery all round! Very nice. 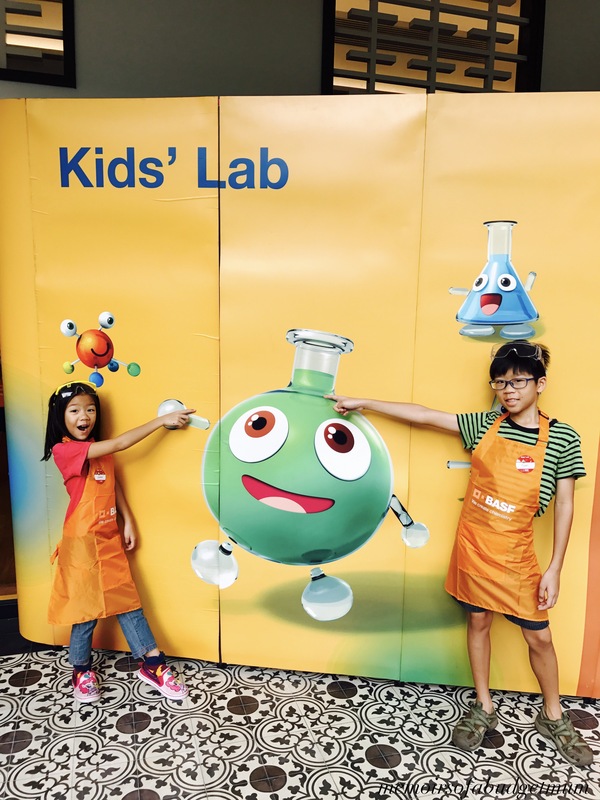 BASF Kid’s Lab adopts a family-friendly approach with its signature hands-on learning of simple chemistry experiments pitched at an easily-digestible level to young children and suiting multiple learning styles! 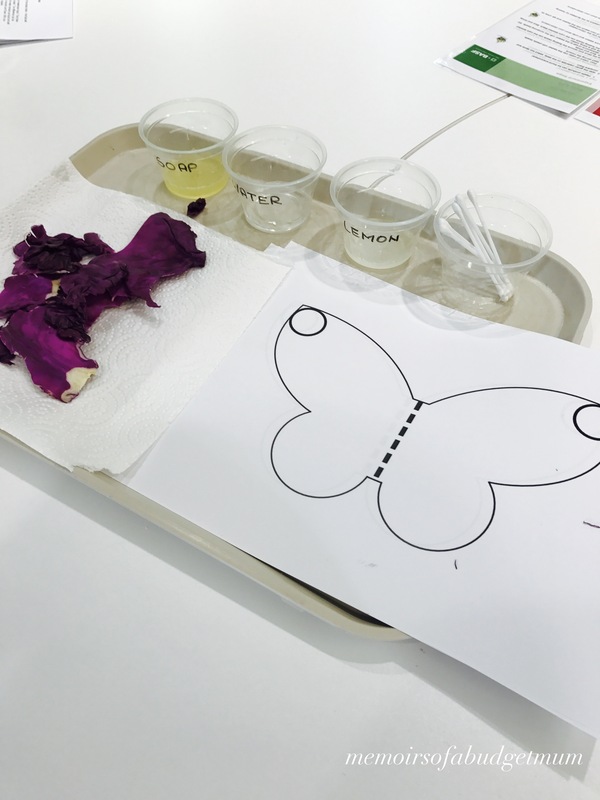 Colorful Butterfly: making use of materials available at home and applying simple science theories, children will be designing their own colorful butterfly. 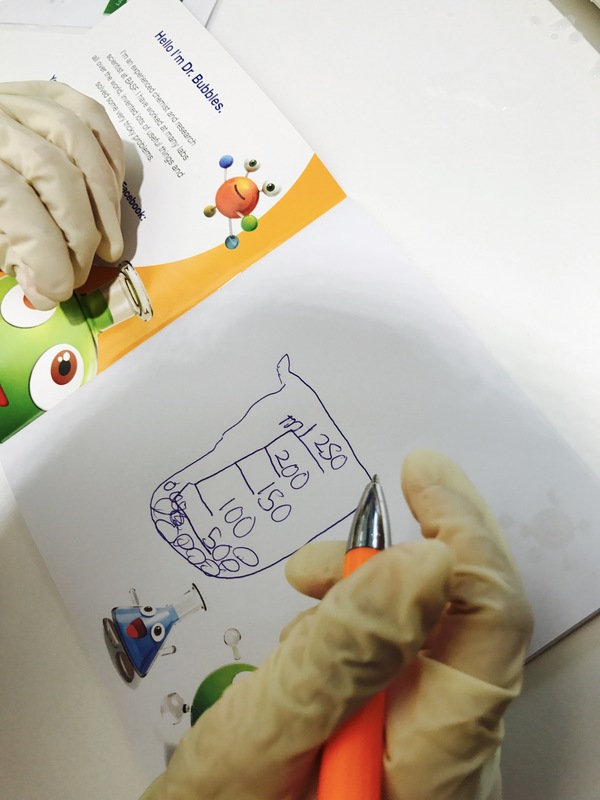 Clear and Simple Steps: We love it that for all experiments, instructions are laid out clearly and simply enough for children to follow with laminated instructions. It’s truly the kids that take ownership for what they are doing and adults can take a step back and let the kids play scientist. 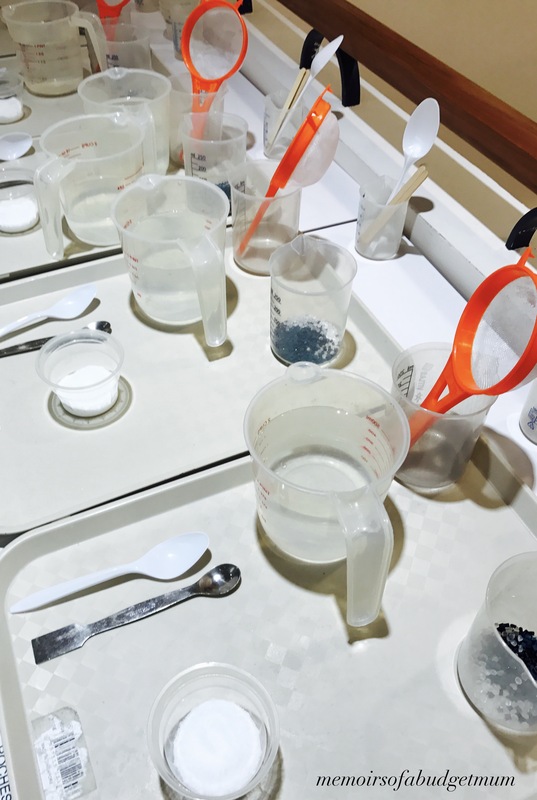 Recording Observations: Each table is manned by friendly lab assistants who guide the children to record their predictions and observations before and after the experiments and direct the children to uncover key learning points at every stage of exploration! They were then led to separate different coloured plastic beads. 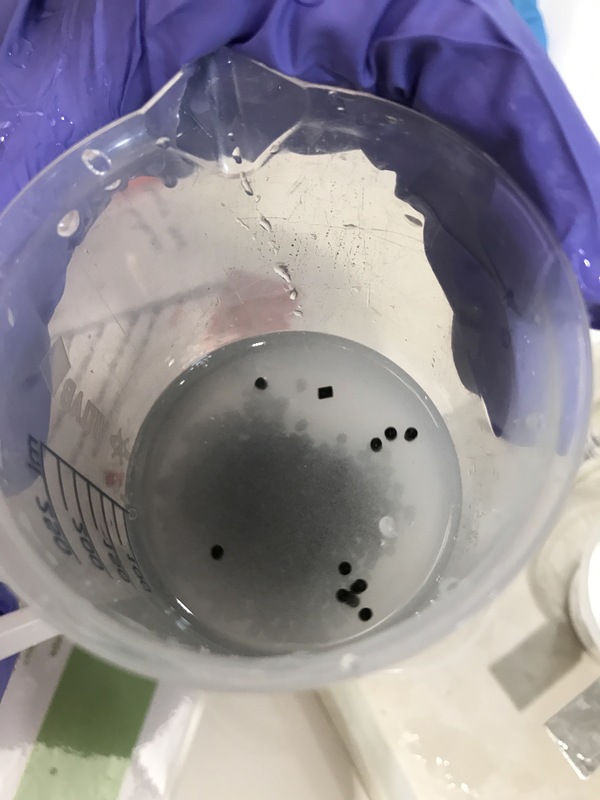 After adding some salt, the black beads floated to the surface of the water. 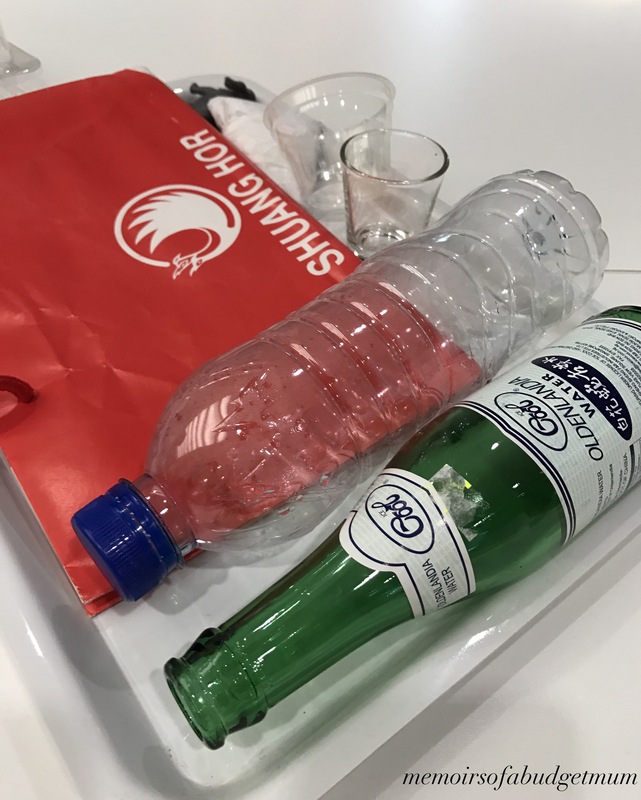 Kids found out through this that different plastics have different properties! Next, the kids dabbled in the “amazing corn starch” experiment which hopes to point them to future renewable substitutes for plastic. 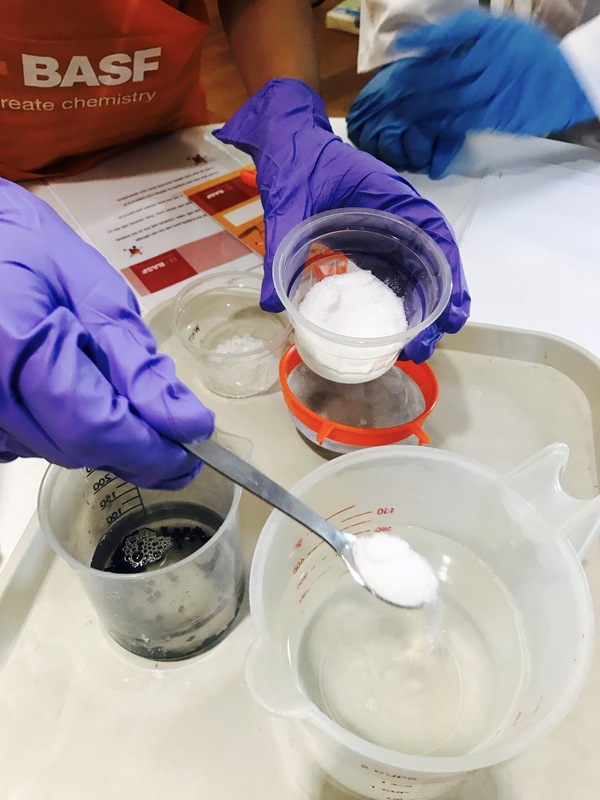 The corn starch solution feels very dense yet malleable…a future plastic substitute! This colorful experiment involves red cabbage and is wonderful for younger kids. 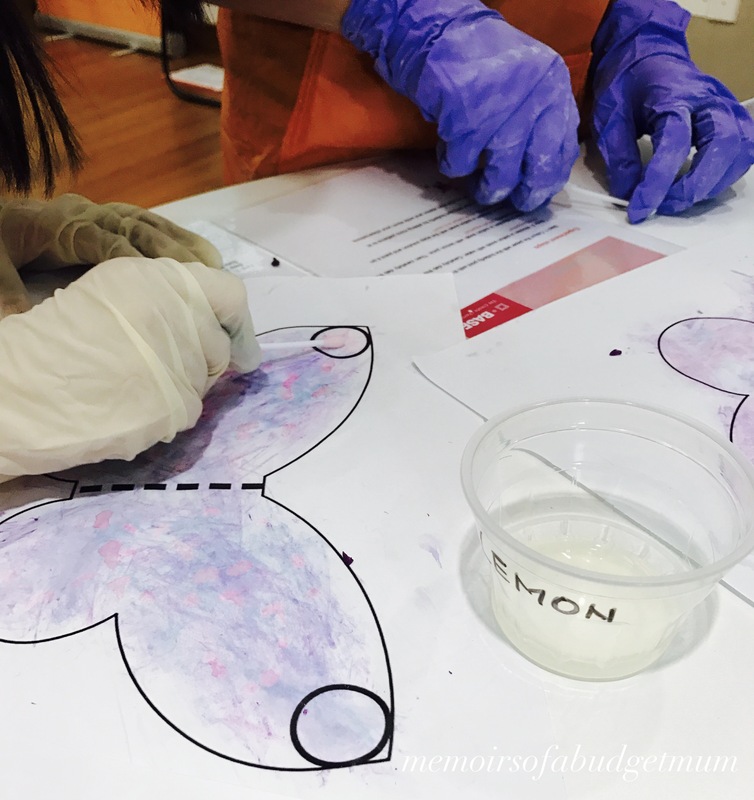 The kids were instructed to rub the cabbage dye onto the paper butterfly and see the effect of water, lemon juice and soap solution on it! Different liquids yielded different colours! I won’t burst the bubble here to tell you what the result was because you really have to get your child a slot in to find out! BASF 2017: Sign up Now! 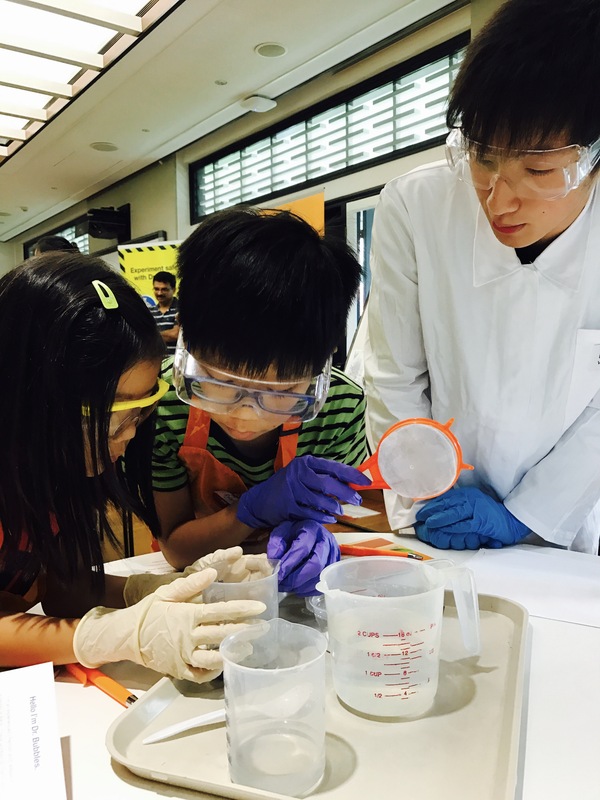 BASF Kids Lab 2017 is now open for registration.